I don't know what has gotten into me that I decide to purchase a new notebook and start a bullet journal. I have been on a super long hiatus from the planner world and I'm happy to say that I am back with a brand new best friend. 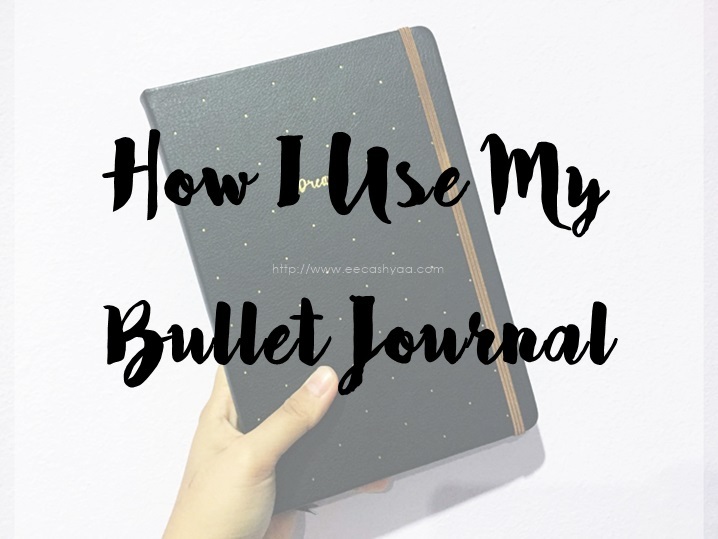 I would say bullet journal is very effective to organise your life - depend on someone - and I want to show you how I use my bullet journal. 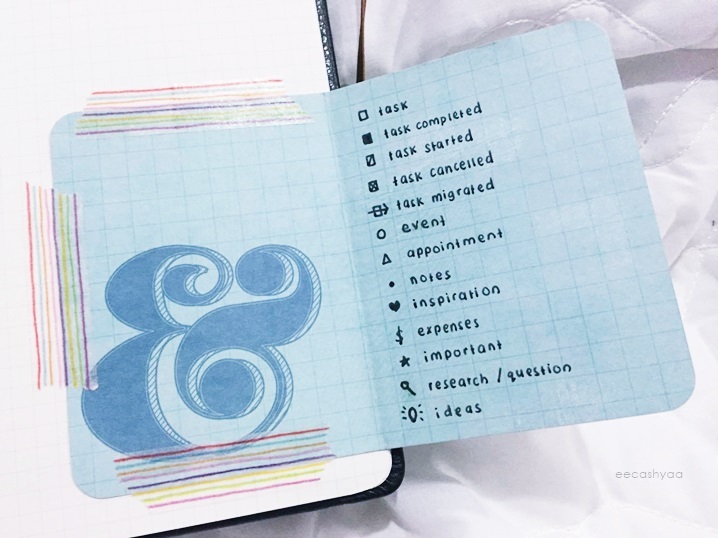 Don't miss out the ultimate guide on how to start a bullet journaling too! Bullet journal is a very simple and customizable organisation system. There's no limit in bullet journaling as it can be your to-do list, diary, sketchbook, notebook or whatever you wish for - all in one place. It can be decorative or minimalist or just follow your creativity to have a beautiful and functional notebook. The very first pages of the notebook are reserved for Index. 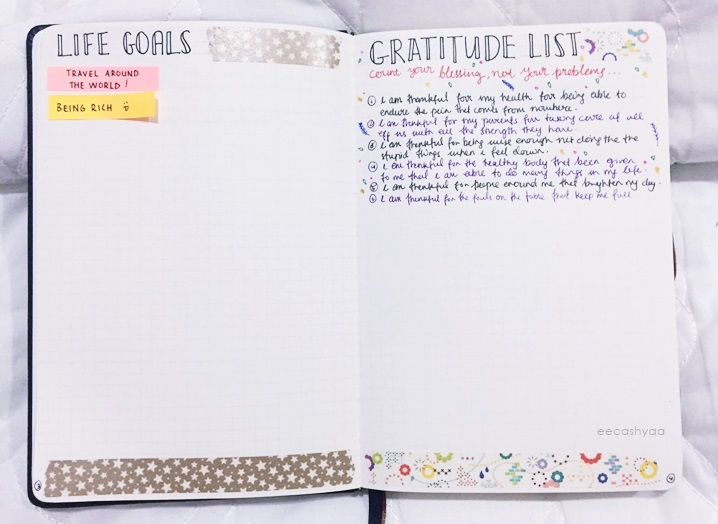 It is mandatory and a must-have page in bullet journaling. Ini adalah untuk kesenangan di kemudian hari. Every time when you use a new page for something, this Index need to be updated! And don't forget to number every new page. It can be fancy as you wish but I make it simple for my own comfort. Make sure to leave 3 to 4 pages for Index writing. The second page will be the Future Log where you noted down all the upcoming events, holiday or important dates. It's basically a year at a glance. Since I started the bullet journal in this month, aku cuma letak bulan yang tinggal untuk tahun ni saja. It is not necessary to start from January even I know it's a bit itchy to start from scratch! Please don't follow my layout as I just realized that the space is quite small and will be too occupied if I wanted to add up more notes. Make sure to make it a bit spacey for your own good unless your handwriting is sekecil semut huhu. Here's the fun part. Collections are something like a bunch of list of whatever you want to have in your journal. It can be Places to Visit, Gratitude List, Books to Read, Life Goals, Wishlist, Habit Tracker or anything. It's literally all your favourite things! Do take a look at this huge list of collections/page ideas. HERE. 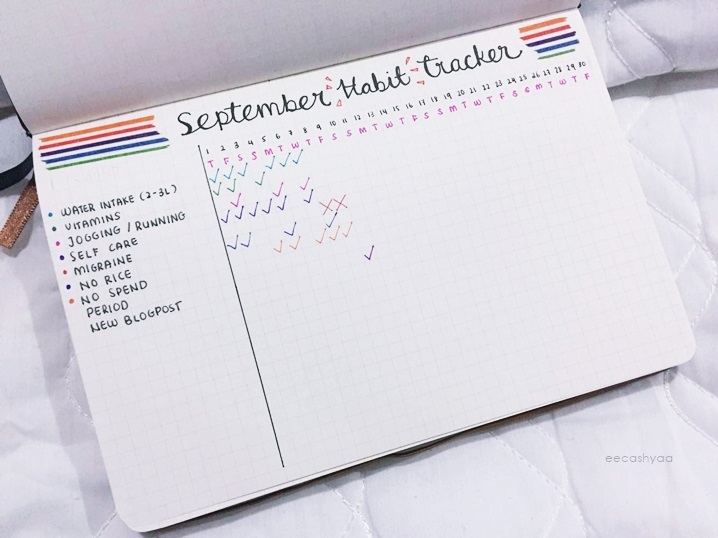 This is my September habit tracker. I just love doing this so that I can track everything that I do in my daily life. I used to forget when did I start my period of the month, when did I have a migraine etc which is pretty important for me - and of course for you too. For instance, when I was being hospitalised last few days ago, the doctors kept asking me about when does my period occur last month but I was not able to answer them correctly since I couldn't remember the date. 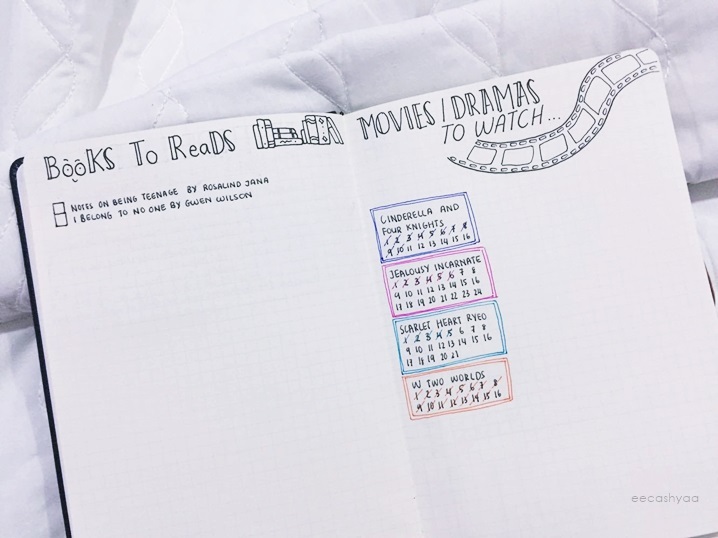 So yeah, this is mandatory in your bullet journal. There are many things you can track but that are the only things I come up with. Well, this is the main reason to have a bullet journal in the first place. 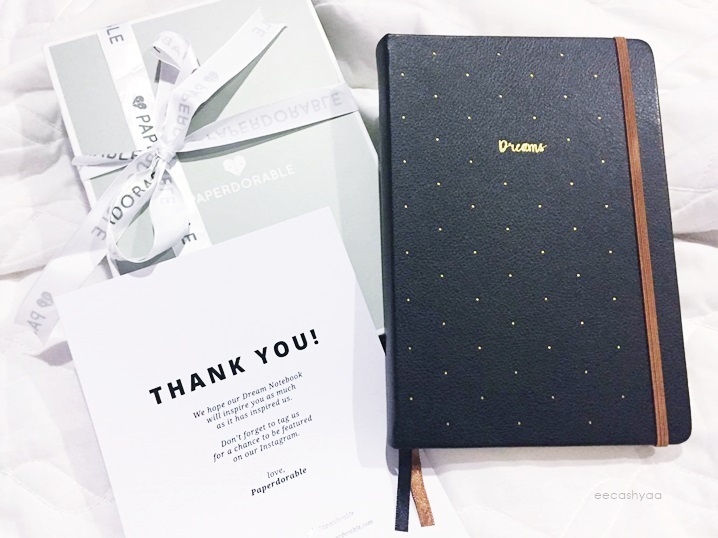 The weekly spread is a page where you will jot down notes or put your to-do list for every day. 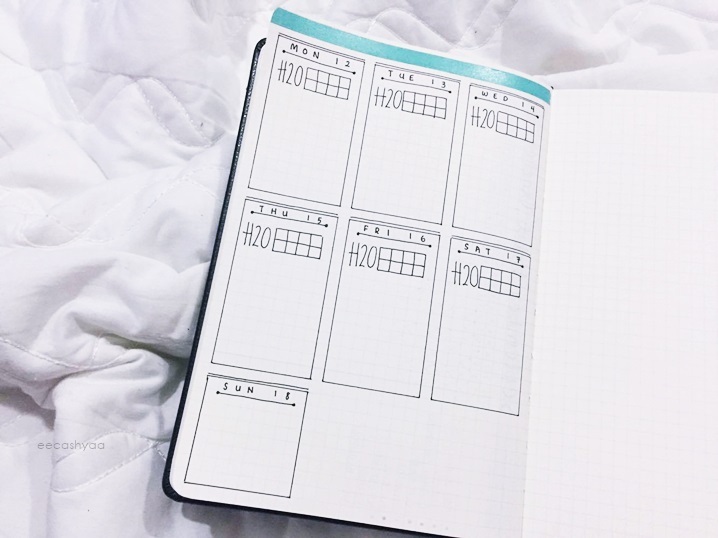 You can also use the daily spread for daily routine. My preference is weekly spread cause I like to have the overview for the week altogether. Be as decorative as you are when it comes to page layout! Pinterest has lots of ideas to get you inspired!! Minggu ni layout lain, next week layout lain, next next week layout lain. As long as you happy with what you see, then go for it. Rapid logging is the language in which the bullet journal is written. It consists of four components; topic, page numbers, short sentences and bullets/keys. Senang cakap, bila kau nak tulis nota, kau cuma letak ayat pendek dan mudah untuk kau faham saja. Don't make it complicated. People said the key is everything. Yes, the key is very important in bullet journaling. It is to signify different symbols that represent categories, tasks, events, notes, or etc. You can create something that works for you and is easy to understand. I have this flip-out key card that I stick on the last page of my notebook which is pretty helpful. Human tend to forget lol. Bullet journaling is easy when you understand how it works. Once you get it in mind, you won't be confused. 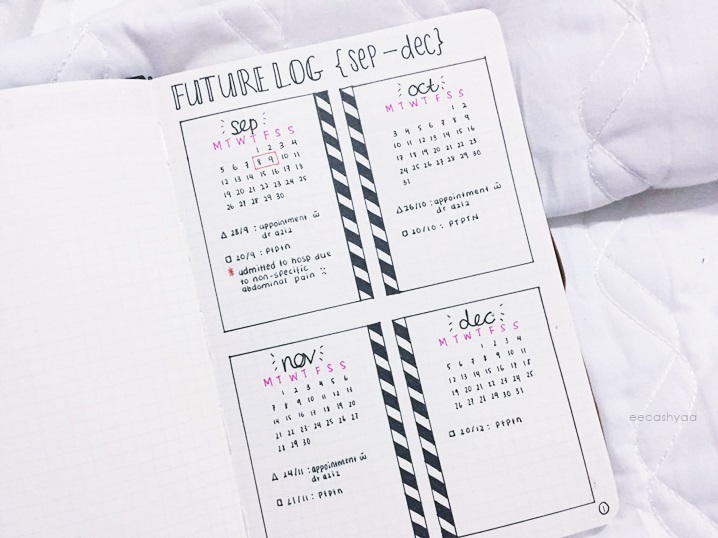 Some people will put a Monthly Log after the Future Log but I decide to take them out and not putting it in my bullet journal as I think it works pretty similar to Future Log. Same goes to Keys and Signifier, I used to be confused between these two things. But it has the same function except that Signifier is to emphasise or enlighten certain tasks that are important. Done reading? 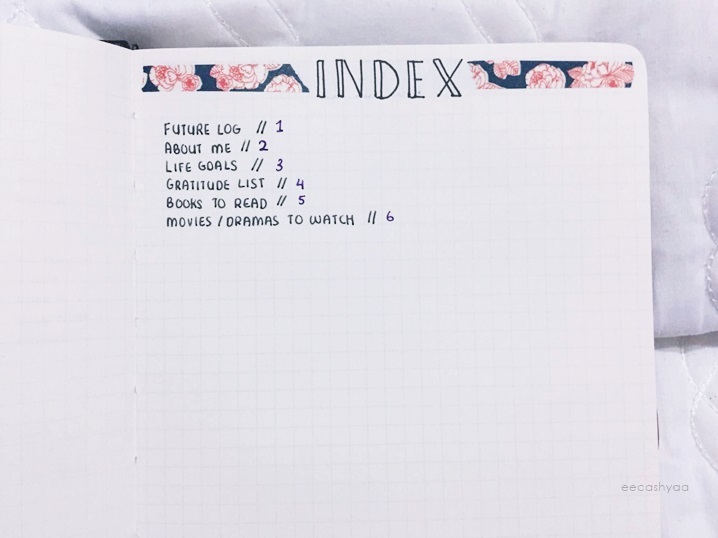 Grab your notebook and start bullet journaling now! I hope this post will help and guide you on how to start a bullet journal. I make it simple so it will be easy to understand. But I apologise if I am missing some points here. Toddles! Interesting hobby. Totally love this article! woww at your drama to watch list... all kdrama..hehehe..
Omg I love love love this. it's so inspiring! Ya Allah comeynyaa.. tulisan cantik bolehlah, kalau saya ni sendiri tgk pun serabut,hahaha.